Vivo is set to unveil its flagship V15 Pro smartphone in India on February 20. However, its promo poster has already surfaced online, revealing some of its key features ahead of its official launch. 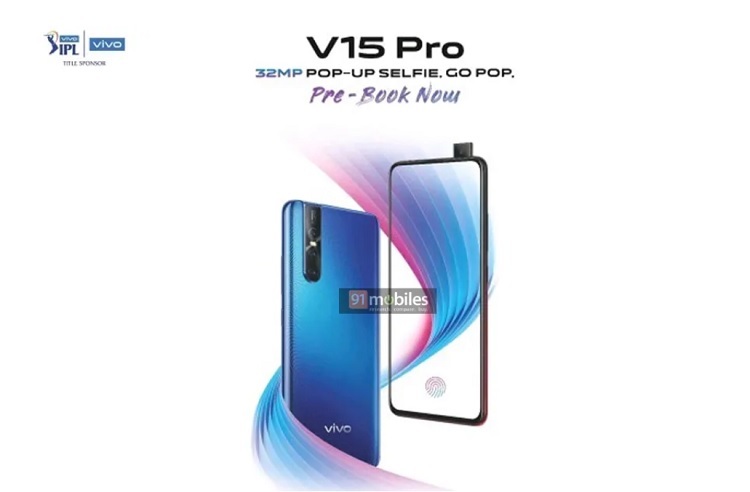 Its alleged pre-order poster shows that the V15 Pro will sport a full-screen display made possible by its pop-up front camera – similar to the Vivo NEX. It is equipped with an in-display fingerprint scanner, as well. Moving on to its photography department, the handset will feature a whopping 32-megapixel selfie snapper –the highest resolution for a smartphone’s front shooter. It will be the first Vivo device to boast triple-rear setup, too. Meanwhile, there's no word yet about its camera sensors. The Vivo V15 Pro is expected to sell for INR 25,000 (~Php18.4K), but we can expect that it will be more expensive if it arrives in the Philippines. We’ll update you with more details once the V15 Pro launches. So, stay tuned!